Dr. Michael J. Laney, provost at Savannah State University, will bring the morning message at Connor’s Temple Baptist Church on Sunday, Feb. 10, 2019, for the church’s annual celebration of Savannah State University Day. The service begins at 10 am and the church is located at 509 West Gwinnet Street. The SSU Day celebration has taken place at Connor’s Temple for more than 20 years. In 2004, with generous support of SSU alumni who are members of Connor’s Temple, a scholarship fund was established for students attending Savannah State University. Members and friends of the church continue to add to the fund, which has grown into an endowed scholarship of $50,000. The SSU Day program will include participation by members of Connor’s Temple’s Youth Department as a way to train and encourage young people to continue their education after high school. The university’s Wesleyan Gospel Choir will render music and SSU students will bring greetings. 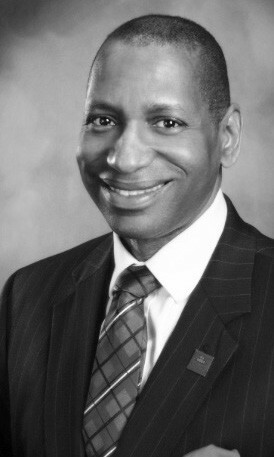 In January 2018, Dr. Laney assumed his duties as provost and vice president for Academic Affairs at Savannah State, the oldest public historically black university in Georgia and the oldest institution of higher education in the historic city of Savannah. As the university’s chief academic officer, he is a member of the President’s Executive Leadership Council and is responsible for the management of faculty and academic deans and oversight of academic budgets. He holds the rank of full professor with tenure in the Department of Journalism and Mass Communications at Savannah State. Dr. Laney is married to Reverend Leonora Denise Suggs Laney and together they have raised three adult children, ReAnna, Mikaela, and James -Michael. Sis. Wanda Lloyd, former chair and associate professor in the Department of Journalism and Mass Communications at Savannah State and member of Connors Temple, is chair of the 2019 Connor’s Temple – SSU Day planning committee. The public is cordially invited to share in this celebration.